A Deaf Artist extraordinaire that communicates through her artworks, commenting with her introspectives. Subscribe to my newsletter to see new art & updates! * The International Confederation of Art Critics have written a brilliant critique on my artworks! Read it here. Chelle is an incredibly hard working artist dedicated to her craft. Trying new mediums within her works, such as gold leaf and thickened gesso she makes herself. From pastels, pen, pencil, charcoal to oils. I have many pieces of Chelle's. Original art works, prints, clothing, cushions and bedding items. Chelle's imagination and tireless love of art has her working 7days a week, and up to 14hrs a day. The lay-by system she has in place has allowed me to purchase paintings that otherwise I would have missed out on. 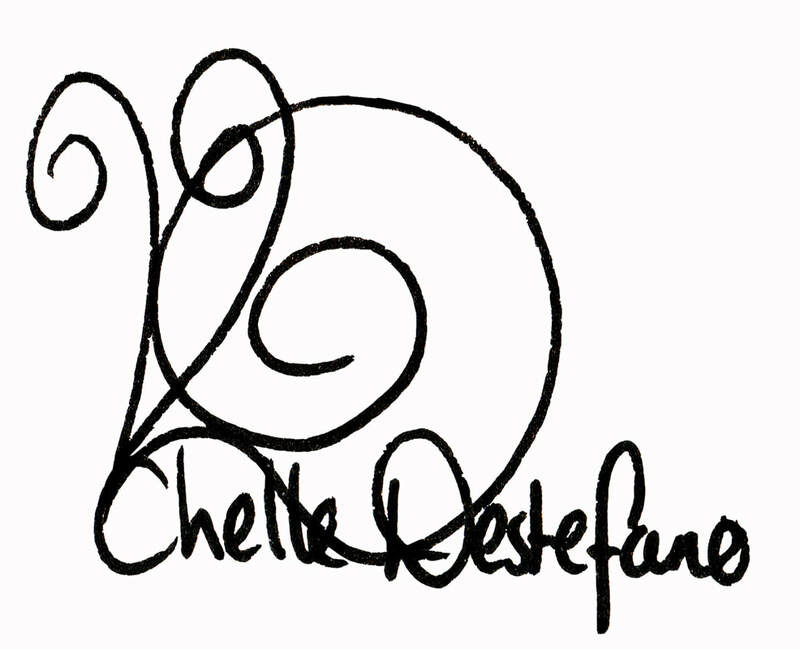 Chelle is a passionate, gifted and highly respected artist. I am very proud to have her artwork all over my home. I just pledged $30 to your project for a reason that may sound a little odd.... This morning I awoke and logged on to Kickstarter to check my own campaign. Nothing had happened overnight so I went browsing on my iPad, in bed still, for other projects worth funding. This was when I stumbled across your artworks. I'm not exaggerating or joking in any sense- the abandoned gas station illustration rendered me immobile for about two minutes. I was actually haunted so much by the image I couldn't move my hands, arms or legs and was filled with a really odd emotion. Something between terror and nothingness it was. Eventually I pulled myself together but I just wanted to let you know that no artwork has ever had that effect on me before. Thank you so much Chelle for making me feel an emotion I didn't know existed. I woke up feeling normal but your work made me feel alive. I really love your line work and one of the few watercolor artists that actually gets it right. I can't wait for my postcards! From an aspiring artist, this is amazing!